If you have read my blog before, you will notice that I specialise in sharing tales of my sporting adventures. Nevertheless, from time to time, like now for instance, I will blog about my other favourite past times such as Eating, Traveling & Movie-watching. 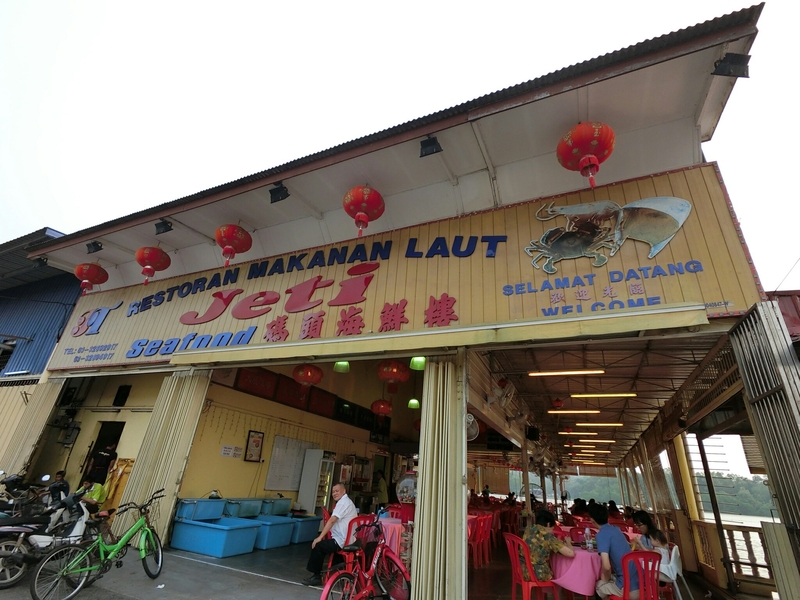 This time, I would like to share my latest visit to one of my favourite seafood restaurant, Jeti, at the classic fishing village of Pasir Penampang in Kuala Selangor. 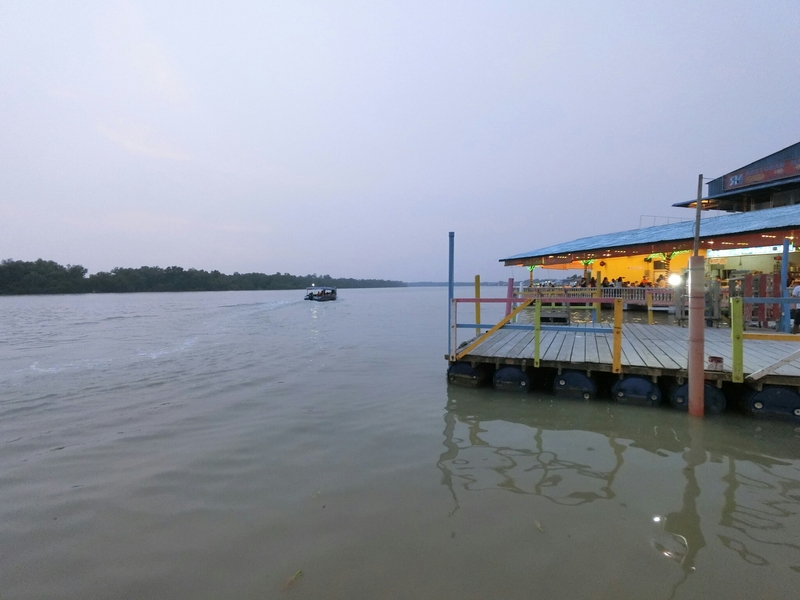 For the uninitiated, Pasir Penampang is set along a wide river estuary, and it is a 60 to 90 minutes drive from Kuala Lumpur depending if you take the faster GCE/LATAR HIGHWAY or the old Route 54 to Sekinchan and Teluk Intan. The fishing village comprise of just one 500m metre long main street, and at the centre is a popular fresh fish market selling the local catch in abundance. 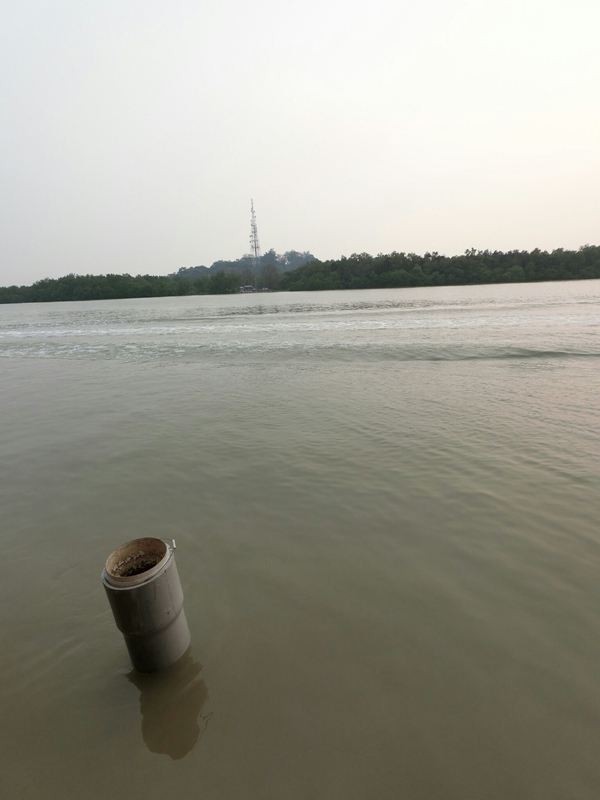 There is a school at one end, and the jetties at the other. These days, I guess the local students from that school are more likely to end-up as office workers in Kuala Lumpur than following the labour-intensive trade of fishermen at the jetty-end of their forefathers. The 2-storey shop lots there remain mostly in their original state, giving new visitors a rare glimpse into another era before hi-tech depersonalised and controlled our lives. You can differentiate the locals from the visitors from the former’s practical clothing choice of unbranded T-shirts and short pants, and the locals are can be seen minding their own business and running errands on their little scooters or bicycles. Both this Village and its inhabitants are very laid back, and here, there is no real need to be rushing around like we do in towns and cities. On the other hand, the city-slick visitors and tourists who come here are dressed-up for an outing, and upon arrival, it takes them a few minutes to adjust themselves to the slow pace of village life. The visitors walk around with eyes wide-open in wonderment, before they invariably head to one of the dry-fish shops and seafood restaurants to buy and savour the local sea-based products and dishes. 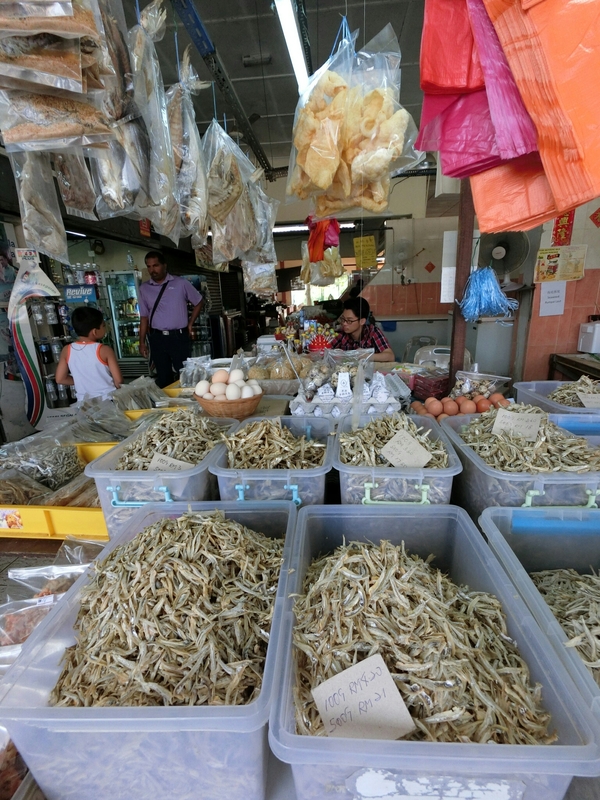 There are several dried goods shop where you can pick-up good quality dried shrimps and anchovies, as well as prawn crackers at wholesale prices which make perfect gifts or ingredients for the visitors to take home. If you want to beat the heat, there are plenty of fresh coconut water available to quench your thirst. 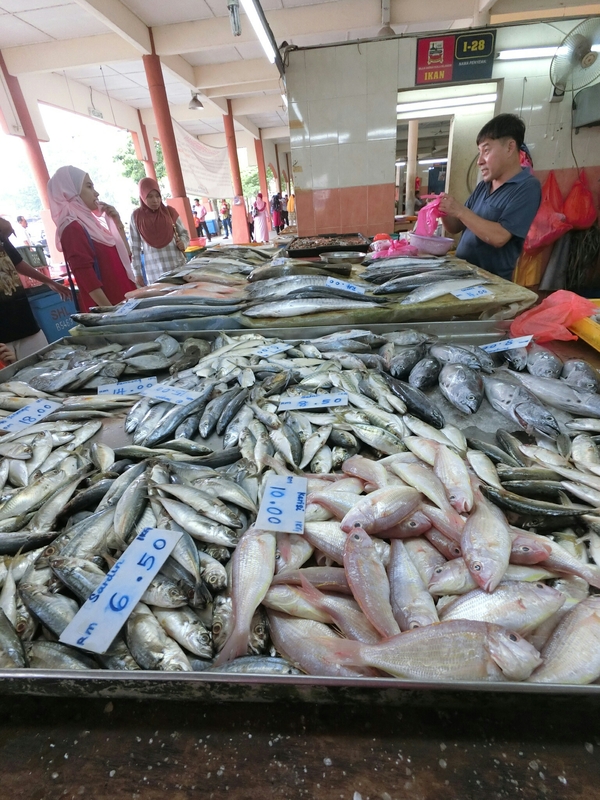 I noticed that the fresh fish sold in the market is as much as RM2 cheaper per kilogram than in KL. You can buy a styrofoam box for RM6 to keep your purchased seafood chilled for the journey back home. If you love fruits, then, there are many friendly fruit sellers by the roadside and in front of the market offering mouth-watering local fruits such as rambutans, mangosteens, mangoes, watermelon and corn at seasonal prices. Other shops available are traditional chinese coffee shops, barbers, hairdressers, karaoke, cyber cafe, sundry shops, and convenience stores. 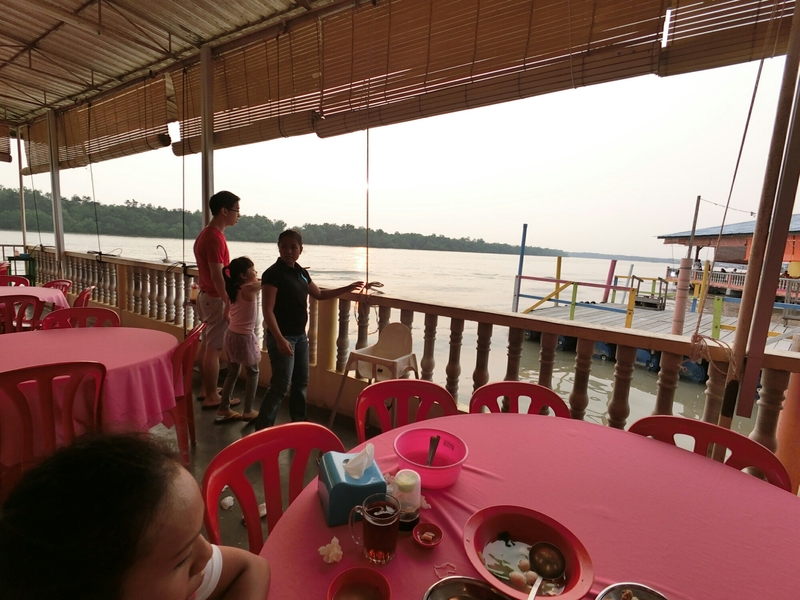 The biggest attraction to Penampang Pasir is the fresh seafood, and there are many restaurants available alongside the river to cater for the hungry visitors. 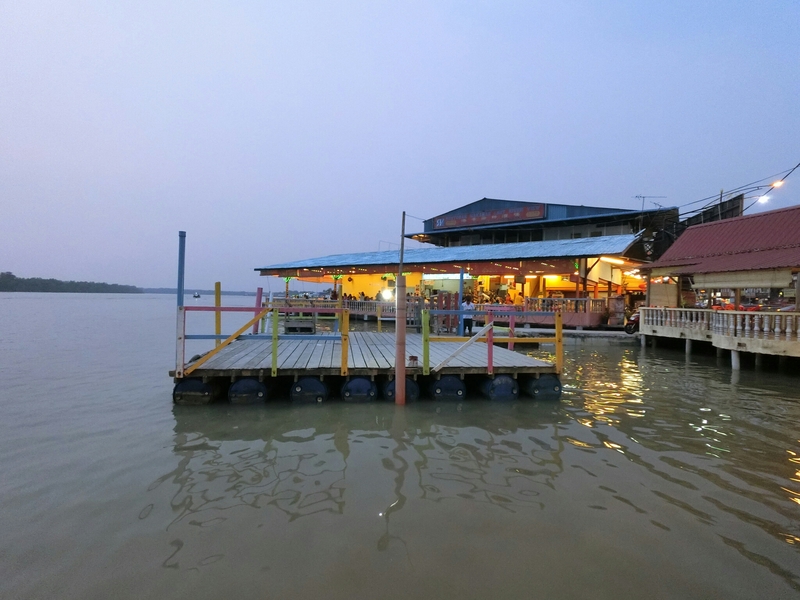 One of the most popular among local tourists is the Jeti Seafood Restaurant which is located at the end of main street by a small jetty. Most times, the restaurant is packed with patrons occupying the 30, or so, striking red-clothed tables. It is a favourite spot for family gatherings, for dinners with friends or colleagues, and for hosting overseas visitors. 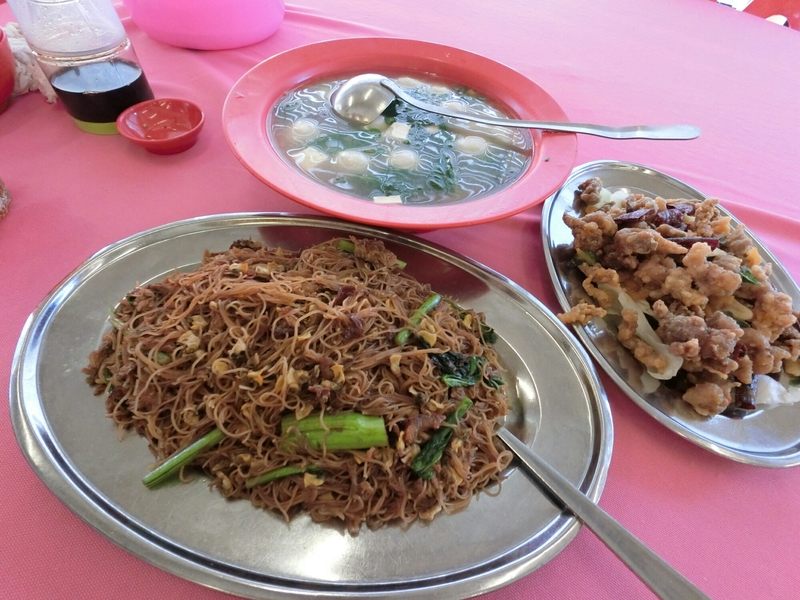 For my wife and I, we always order our same favourite dishes every time – fried mee hoon with lala, fried crayfish with salted eggs, and a bowl of fishball and vegetable soup. With a side order of hot and cold Chinese tea, to wash it all down. The food not tastes good, but our bill comes-out to less than RM50 or a mere 18 Singapore Dollars. However, to me, the view of the river and mangrove swamp on the opposite embankment is priceless. I recommend you reach there before 12pm and 6pm for lunch and dinner respectively, in order to beat the big crowd. Early dinner is ideal because the weather is less hot, and you can catch the beautiful sunset over the river. 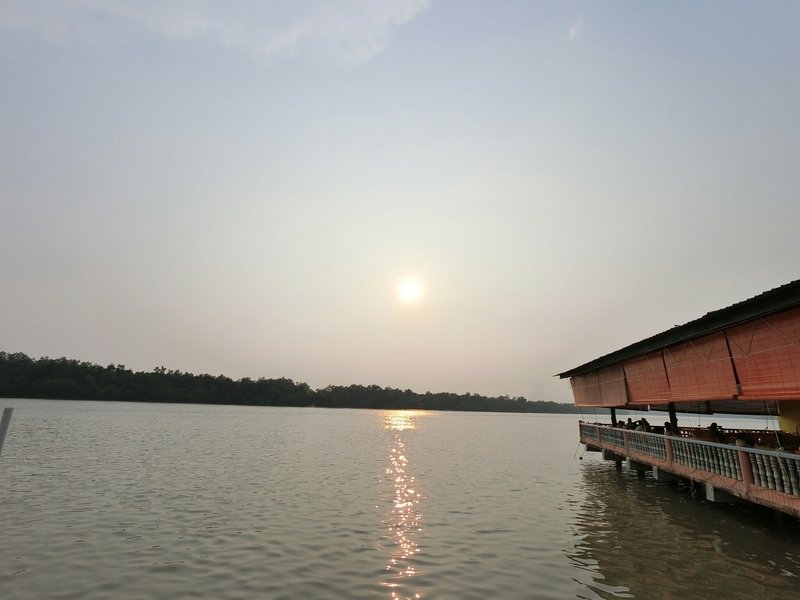 After your meal, you can enjoy a boat ride to view eagles soaring above the mangrove sanctuary during the day, and at night, the boat ride will take you to view the magical fire-flies. 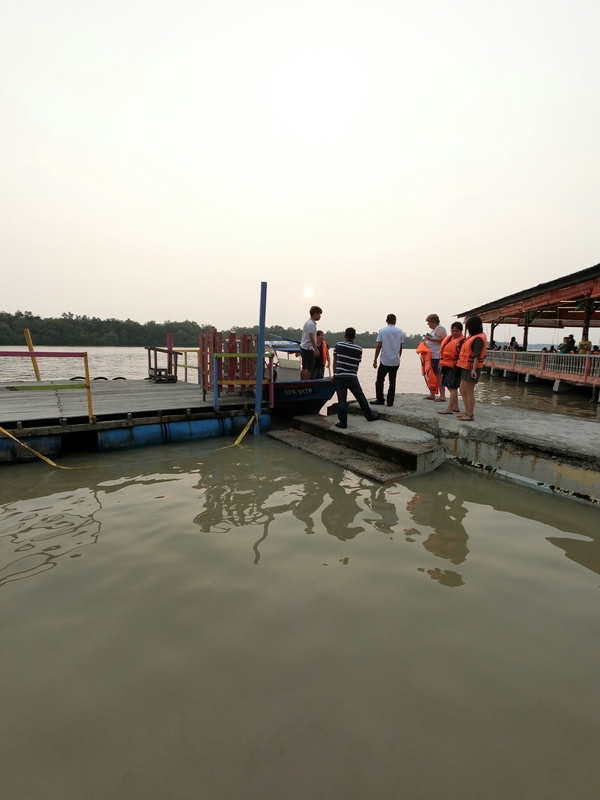 Passengers board the boats next to the Jeti Seafood Restaurant. 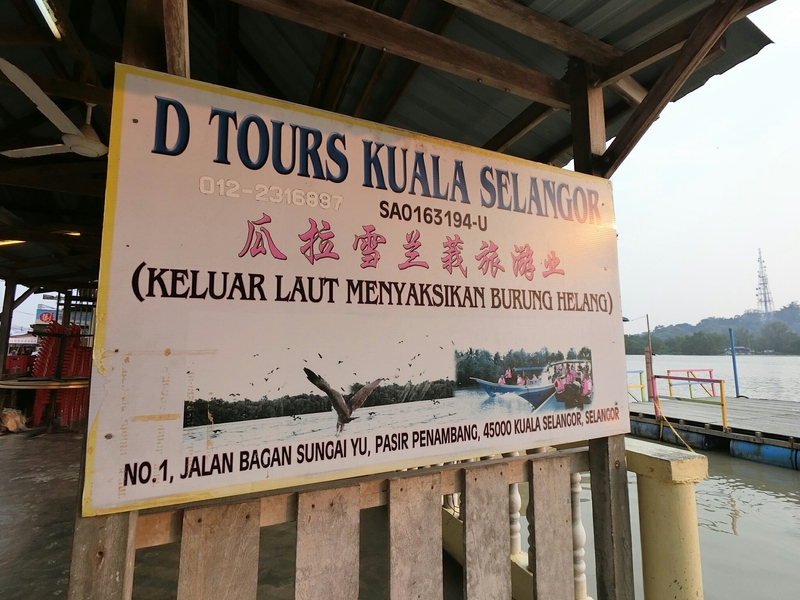 If I can remember correctly the boat ride lasts for 45 minutes, and it costs RM25 per person. 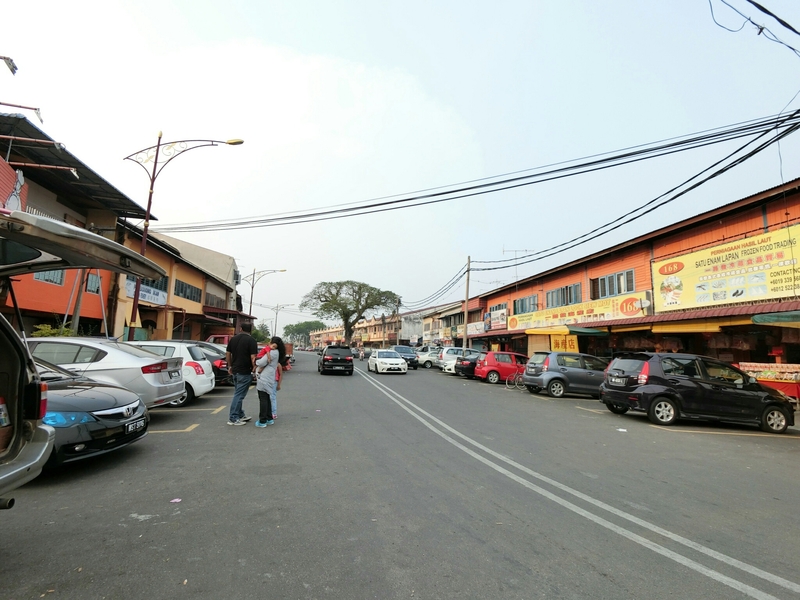 The District of Kuala Selangor plays a pivotal administrative centre for the region throughout history. There is a museum near the famous lighthouse at Bukit Melawati which displays many interesting historical artefacts and a good source of information for the public to enjoy. At the foot of the hill, there is the entrance to the mangrove sanctuary where visitors can rent-out chalets or go bird-watching. On my next trip, I hope to bring along my Casio FR-100 and capture photos of the sceneries of the lighthouse and it’s natural surroundings. 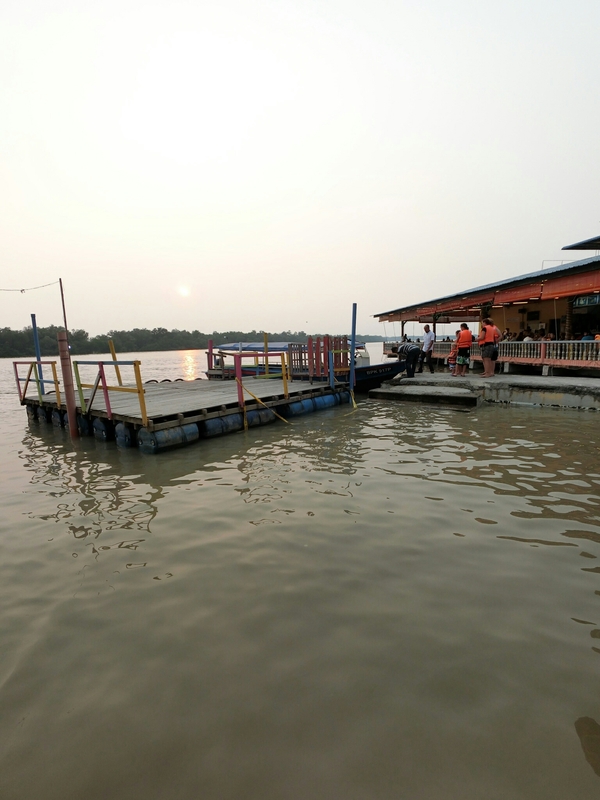 So far, from what I can see, the Kuala Selangor Municipality (Majlis Perbandaran Kuala Selangor) is doing well to preserve the local heritage, culture and communities which is bringing in much tourist dollars. However, the pressure of modernisation brought about by influential developers is always present and ready to destroy old historical buildings to make way for more profitable concrete high-rise commercial buildings. Already, I can see a new Giant Hypermarket and modern two-storey shop lots along the main trunk road, near the turn-off to the quaint fishing village. I hope Kuala Selangor local authorities and communities work hard to preserve their beautiful township and protect the environment for many generations to come. 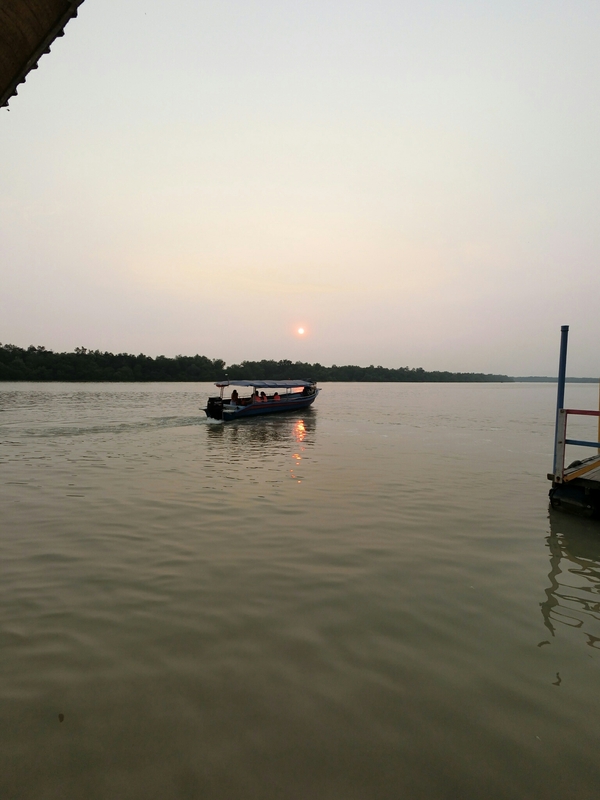 This entry was posted in Day Trip, Eat, Food, Seafood, Selangor, Travel and tagged Boat Ride, Bukit Sri Melawati, Dried Seafoods, Eco-tourism, Fish Market, fishing village, Food, Kuala Selangor, lighthouse, Pasir Penampang, restaurant, River, Seafood, Sunset, Tourists, Travel. Bookmark the permalink.